Sunday afternoon Tina and I chose to drive home from West Texas using the back roads. 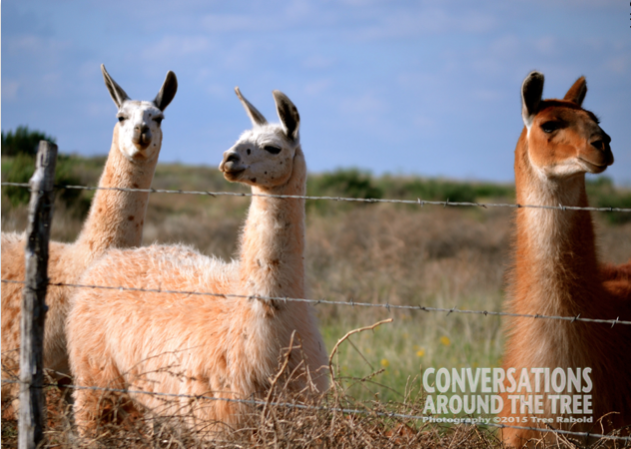 As we drove down the endless stretch of road I noticed 3 Llamas out of the corner of my eye. Do I stop? Do I put the car in reverse and back up the shoulder? Yes and yes!! These young ladies (honestly I have no idea if they are male or female – but they had beautiful eyelashes) stood and watched me walk to the fence. I slowly approached but avoided getting too close for fear someone would spit at me. Fortunately we had a friendly interaction. They allowed photos and even acted like they were expecting me to stop by and do a photo shoot! And just in case you remember the post I did about Guard Donkeys you will be happy to learn that llamas are also used as guard llamas for sheep and other small farm animals. 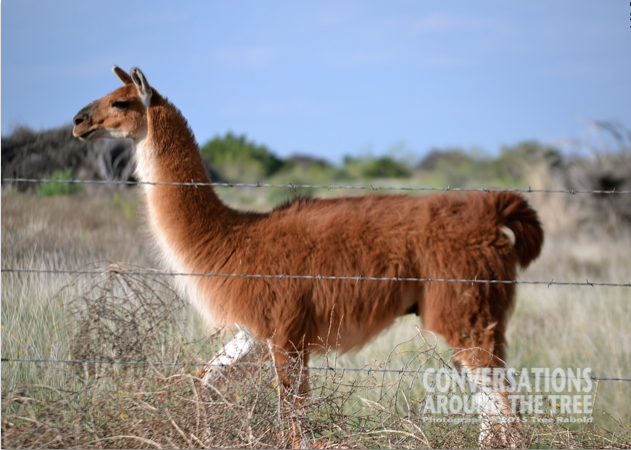 This entry was posted in Uncategorized and tagged A-ZChallenge, farm animals, Llama on April 15, 2015 by treerabold. That’s pretty cool stuff! 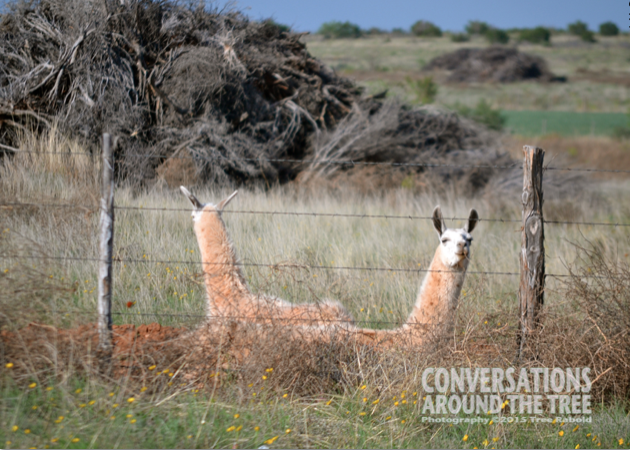 Guard llama… Who knew? And ‘I’m’ is suppose to be ‘but’. I need to read my responses because auto correction is KILLING ME! And I have no idea what the heck that second emoji is or where I got it. It looks like a dang alien! I must have been half asleep when I typed that. Ugh! They do have a little smirk about them! LOL that’s hilarious…2 headed llama!! Those two stayed close to each other the entire shoot…maybe they were attached?! !